The cost of granite countertops, or any natural stone countertop, will always be an important consideration in determining which type of stone you choose, and also what contractor you hire for the installation. The cost of granite countertops will always vary depending on a number of considerations and factors related to the granite material itself. The first factor is the form of the granite. 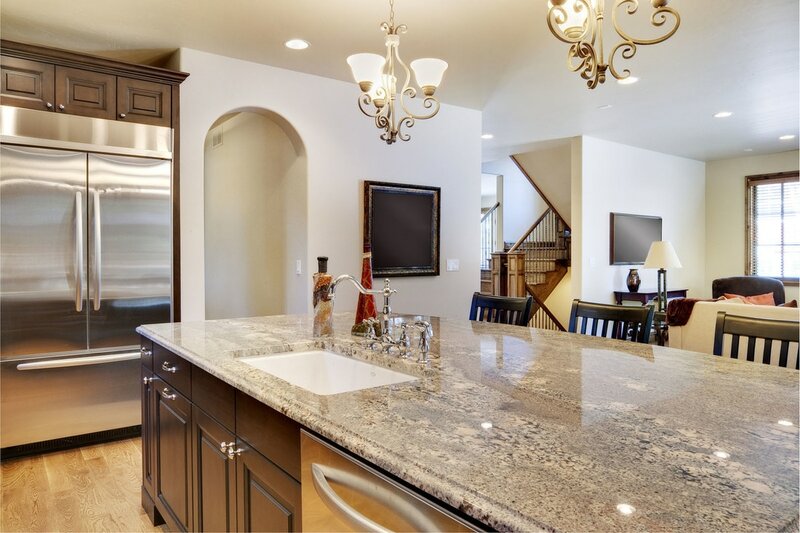 Granite will always come in two forms, either natural slab from a quarry, or engineered stone resulting from mixing minerals and other particles using resins. The natural slab will generally be more expensive than engineered granite stone, so this is the first consideration in evaluating the cost of granite countertops. 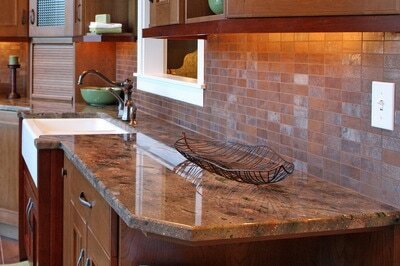 Granite tile will always be the cheapest option, as the granite is cut into small sections or pieces, usually 12"x12". It is also at the lower end of aesthetic quality, so it depends on your budget and your priorities. 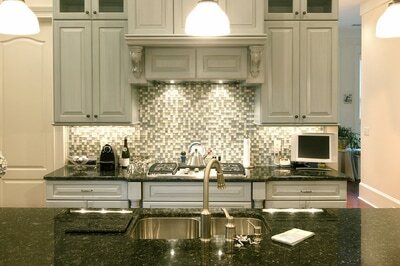 Granite tiles used in this manner are basically tiles for floors that are instead used on countertops. This can also be considered a DIY form of granite countertops because the 12"x12" tiles can generally be installed by the homeowner, although a professional is always recommended for aesthetic reasons. Modular granite can also be a DIY type granite project, although it is much more difficult and more cumbersome to deal with modular sections as opposed to tile. Modular granite is a step up from tile, as these are smaller slabs of granite, or mini-slabs. So they are larger then tile, but they are not full slabs. This modular granite is also an important part of the installation process, as they are used for backsplashes and other applications where smaller sizes are required. Slab granite is the most expensive, and this raw material comes in slabs. As such, slab granite is never DIY, but must always be installed by a professional granite installation company, also known as a stone fabricator. Stone World is one of the top stone fabricators in the Central Florida market, and we have vast experience in installing slab granite for both residential and commercial use. Because every situation is different, it's really not possible to provide cost details for given scenarios. The best way to learn the costs for your project is to call and discuss the details with our customer service representatives. We would be happy to come and meet with you at your home or business and give you all of the options for natural stone, as well as the associated costs for each preference that you might have. Call Stone World today at 407-341-4688 for a free quote, or to learn the options for installing natural stone in your residence or business. We can also guide you on the cost of granite countertops, which are unique to every situation. We can also provide you with pricing and cost for any other natural stone product to ensure we work within your budget.